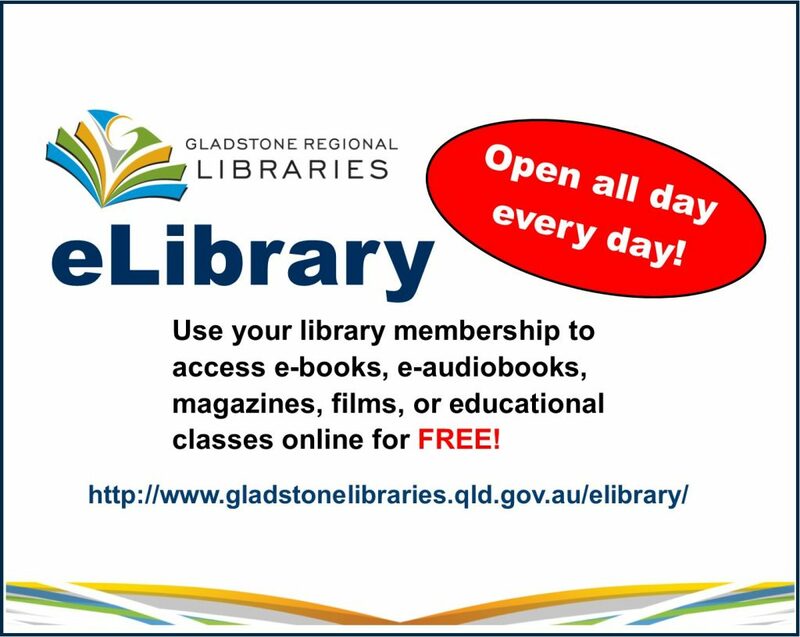 Gladstone Regional Libraries provide a Home Library Service to residents of Gladstone and the areas of Boyne Island, Tannum Sands and Calliope. The Home Library Service caters to the needs of residents who are unable to visit the library due to medical, physical, or other special reasons. Residents of Gladstone, Boyne Island, Tannum Sands, Pacific Ranch, Wurdong, Calliope and River Ranch who through illness or disability are in effect confined to their homes and are unable to access the library. These conditions may be temporary, permanent or recurring. People, who because of frailty, are unable to carry items home are also eligible, as are residents of institutions. People who are engaged in full time care of people in either of the above groups and as a result are confined to the same home. A final decision on eligibility will be made by the librarian based on all the circumstances involved. Home Library borrowers are entitled to the same high level of service that all our customers receive. This includes books, magazines, music CDs, DVDs and audio books. They may request inter-library loans and place reservations. If they require reference services, they are encouraged to telephone the Home Library Service Co-ordinator at the library. Delivery and collection will be on a fortnightly basis and the Home Library Service Officers will arrange a time with you. On her initial visit the Home Library Services Co-ordinator will complete a reader profile to enable her to to select the materials you require. The Home Library Service Officer will be happy to receive your comments on the materials and note any further requests you may have. Simply contact the Library on (07) 49766400 and library staff will send you an application form. A referral from a general practitioner or a welfare worker such as Blue Nurses or Meals on Wheels will be required when you complete your application. The Home Library Service Co-ordinator will then arrange to call on you to complete the necessary forms and discuss your requirements. Any suggestions on how to improve the service are welcomed and you are encouraged to contact the Home Library Service Co-ordinator with your ideas.